What is Menopausal Disorder and How Can Acupuncture & Traditional Chinese Medicine help? Menopause is a natural, physiological event that occurs in every woman between the ages of 45 and 55. (Early Menopause can occur much younger in some women, but this is not normal.) Menopause is a gradual process by which a woman’s ovaries stop producing eggs, her body produces less female hormones, and her menstrual cycles become less frequent and more erratic, eventually stopping altogether. A woman is considered to have reached menopause (as opposed to still being “perimenopausal”) when she has had no menstrual period for 12 months. Hot flashes occur in more than two-thirds of menopausal American women, and other common symptoms during “The Change” include anxiety, insomnia, irritability, low libido, dryness, and weight gain (especially around the middle of the body). Menopausal symptoms (or Menopausal Disorder) may last as long as five years. 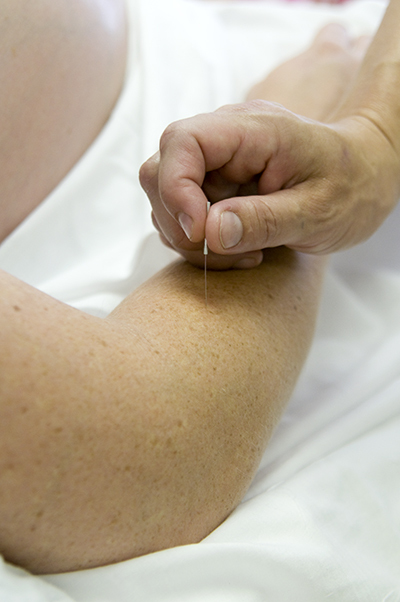 Acupuncture and Chinese Herbal Medicine, combined with nutritional changes and exercise, can reduce and even eliminate the symptoms of Menopausal Disorder, and are a safe, non-drug alternative to Hormone Replacement Therapy and Bioidentical Hormone Therapy. According to Traditional Chinese Medicine, the body’s 12 major organ systems have a balance of yin and yang energies. The three main (yin) organs associated with the female reproductive system are the Kidney, Liver and Spleen. The Heart (also yin) is also involved with reproduction and blood flow. Typically, estrogen is viewed as a Yin hormone and progesterone is viewed as a Yang hormone. Traditional Chinese Medicine helps reduce hot flashes, insomnia and the emotional ups-and-downs of menopause by helping to regulate the balance of Yin and Yang in the key organ systems involved with female reproduction. Rather than giving you a pill to help your body make more or less estrogen, an acupuncturist/herbalist will use needles and Chinese herbs to help your body regulate itself. In my practice, it can take anywhere from 4 weeks to 6 months of regular treatment for a woman’s symptoms to improve. She may continue experiencing some normal, physiological symptoms associated with menopause (such as the occasional hot flash), but they will typically no longer be something she finds highly inconvenient and disruptive. Traditional Chinese Medicine is not an exact science, and everyone responds differently to acupuncture and herbs; remember, we are treating the whole person, not just her symptoms or disorder. Good nutrition during “The Change” is key. I’ve found that encouraging a patient to keep track of everything she eats and drinks for a week, then take a good hard look at her food journal with me can help identify foods she should avoid and foods she should eat more of. Soy is often touted as a miracle food for menopausal women, but because it is a phytoestrogen (plant-based estrogen) and it is very “cold and damp” in nature, it makes most perimenopausal women feel tired, sluggish and fat. Eliminating soy, as well as sugar, white flour and processed foods, can dramatically improve menopausal symptoms such as hot flashes, moodiness and fatigue. Don’t wait until you have been suffering for a year or more – consult an acupuncturist/herbalist as soon as you notice your menstrual cycles changing. If you are interested in learning more about how Traditional Chinese Medicine can help with the symptoms of menopause, please check out our website: http://www.floatchinesemedicalarts.com and join our mailing list by sending an email to: Abigail@floatchinesemedicalarts.com.